You know, even though they're seen in a desert environment in Star Wars, I bet that a bantha wouldn't do so bad in someplace like Hoth. Large creature, covered in hair. It might have trouble finding enough to eat, but I'm guessing it already has that issue on Tattooine. 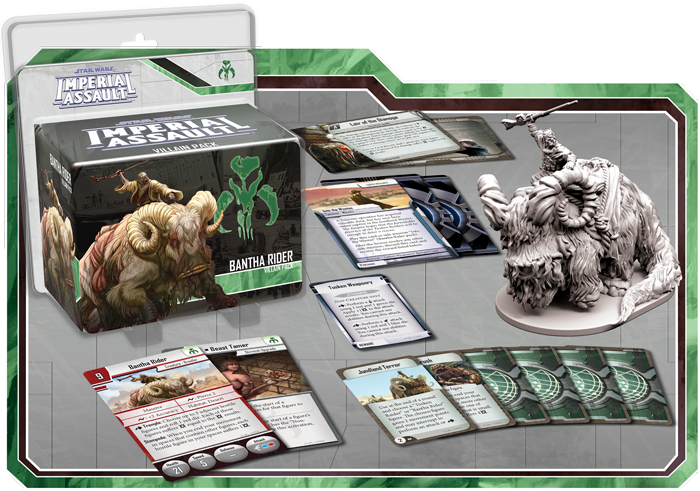 Well, soon you'll be able to add banthas to your Imperial Assault collections and you can put them anywhere that you might be battling at the time. 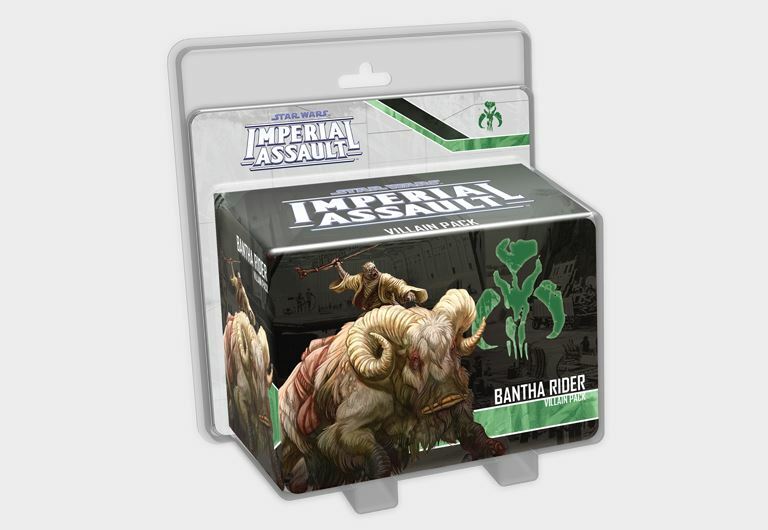 The Bantha Rider is the first Villain Pack that's not directly tied to a larger Imperial Assault set. So it's not something that's just replacing a token you had in your set already, but something totally new. Of course, it's not just a new mini, but new Agendas, Command Cards, Deployment Cards, and other such things. The figure will be hitting store shelves soon, so be sure to get your pre-orders in.